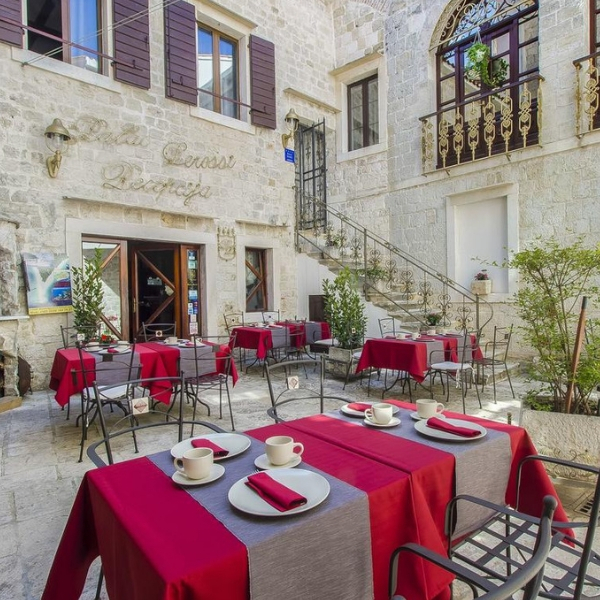 Book your holiday in Croatia at the Palace Derossi hotel located within a mansion complex of six quaint, old stone houses and buildings that form part of a historical 19th century palace, in Trogir. 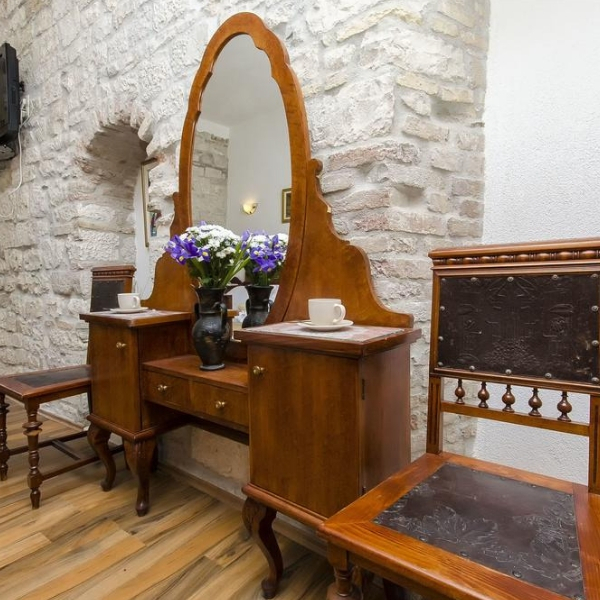 The charming Palace Derossi hotel is a 3 star property situated in the stone wall building of a historical palace. The hotel offers modern and comfortable accommodation in a traditional setting. Clustered around the stone courtyard are 12 fully air conditioned guest rooms, all with en-suite bathroom and amenities. Some rooms are furnished with antique accessories and paintings dating back to the 19th century. 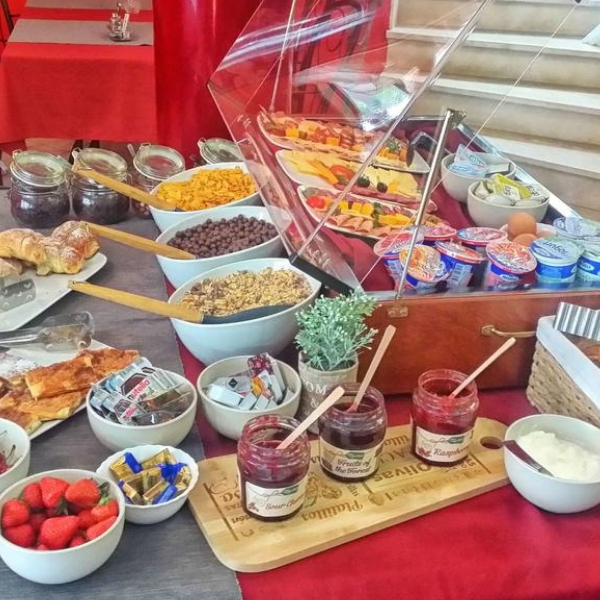 There is an indoor restaurant where breakfast is served and a stone wall terrace where guests can enjoy a relaxing afternoon coffee or snacks. BBQ facilities are also available, weather permitting. The restaurant serves classic Dalmatian and international cuisine. There is also a shop and gift shop on-site. The Palace Derossi hotel is situated in a prime spot in the heart of historical old town of Trogir. Cafes, bars and restaurants are all within easy walking distance. The marina and main port are within close proximity, and guests wanting to visit the Cathedral will not have far to walk.